This is the fourth installment in the Blacksmithing Series from Panteao’s Make Ready to Survive videos. 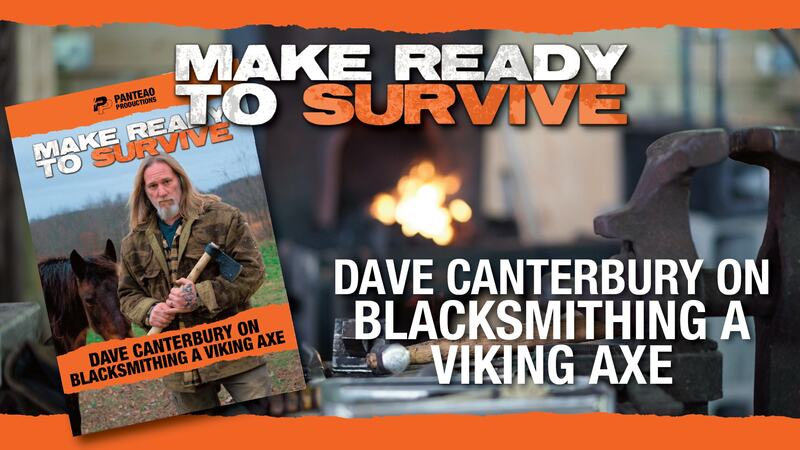 Dave Canterbury increases the difficulty of the project with fabricating a Viking Style Axe from different raw materials and a handle from fresh maple. Dave walks you through material choices for the axe head, material prep, making a bow tie, folding the bit, forge welding, creating the axe profile, shaping and grinding, hardening and heat treat, final sharpening and buff, and fitting a handle. 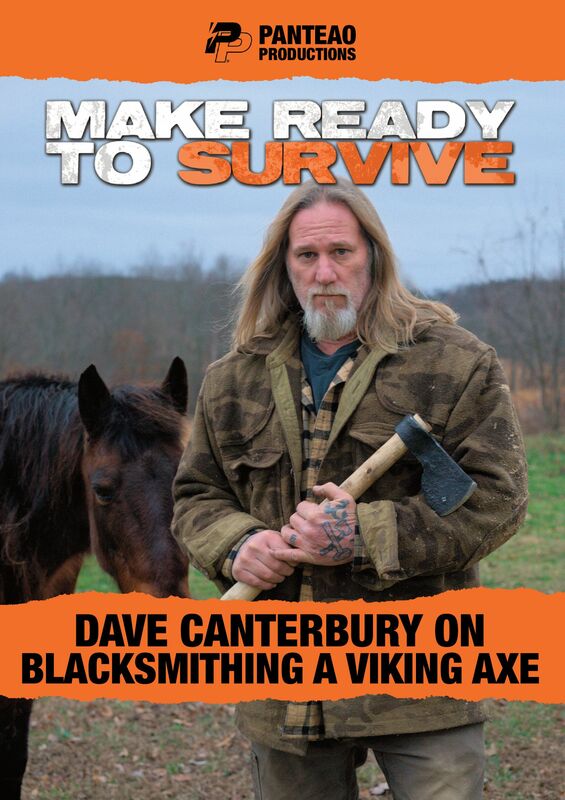 Dave Canterbury is an experienced & skilled survivalist, having years of experience in bush crafting, outdoor self-reliance and primitive skills. He founded The Pathfinder School because of his dedication to passing on the “tribal knowledge” of outdoor self-reliance and primitive skills to anyone and everyone who wants to learn. While there are many axes on the market that you can pick up at your local hardware store, there is nothing like making your own. With this video you can.